Support Our Fearless Summer Heroes! Join us to support April, Carmen, Nick and Vic at their court appearance: Thursday, July 11th at 9 am, at Stamford’s Superior Court: 123 Hoyt Street. UBS, a Swiss-owned wealth management firm is one of the largest funders of mountaintop removal coal extraction. April, Carmen, Nick, and Vic were arrested while delivering a message to UBS at their headquarters in Stamford, Connecticut. 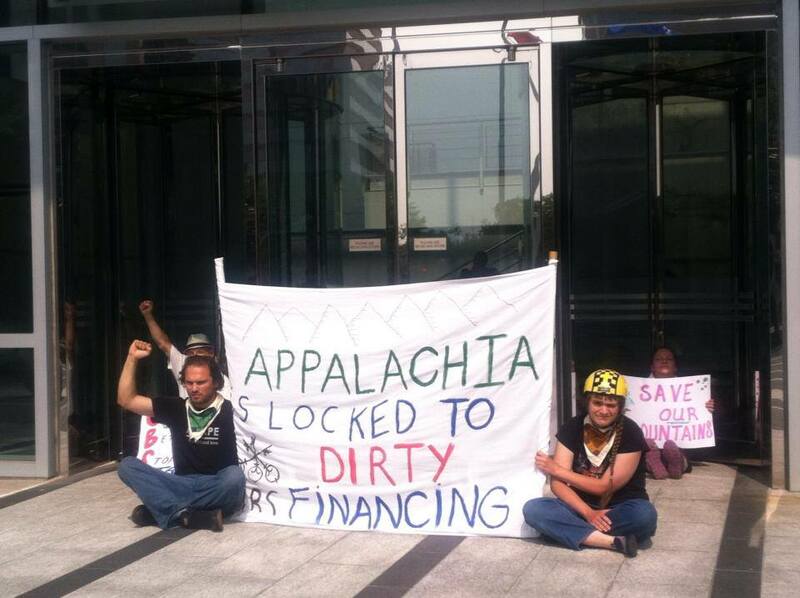 Their message to UBS was simple: Stop funding the destruction of Appalachia. As a form of peaceful protest April, Carmen, Nick, and Vic refused to leave unless UBS committed to cease funding mountaintop removal. As such, they were each charged with Criminal Trespass and Breach of Peace. Please share this event on your profile and invite everyone that may be willing to support our heroes. Mountaintop removal is one of the most destructive things happening on our planet, April, Carmen, Nick, and Vic took a stand to help end the devastation, now it’s our turn to take a stand for them.